A 3d render of SCP-1XXX created based on laser scanner data, produced to avoid exposing SCP-1XXX to water vapor. Special Containment Procedures: SCP-1XXX is to be submerged in Ammonium Cyanoacrylate (A viscous organic chemical invented and patented by the Foundation under the name of a puppet corporation) in a 2 x 2 x 2 meter sealed glass tank. The tank and cell are to be locked to prevent containment breach by untrustworthy staff. Description: SCP-1XXX is a glass cup, 17cm high, 7cm diameter, and capable of holding up to 340cc of fluid. 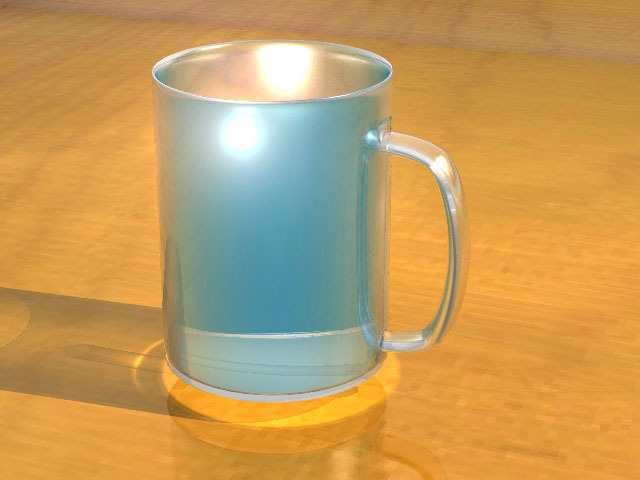 SCP-1XXX is indestructible but otherwise acts as a normal empty cup would. However, when approximately 0.1 grams of any liquid (which includes both solutions and pure solvent) is placed in the cup, the cup will begin to pull the liquid toward the bottom of the cup with an unknown force. Furthermore, all liquids that share a composite similarity of about 92% will be pulled toward the cup with forces reaching up to ████ N until the cup is completely filled. This effect reaches up to a radius of ██ meters. The radius of the effect is variable depending on the availability of the liquid introduced to the cup. Based on analysis using molten samples of economically useless rare-earth alloys, SCP-1XXX's radius has been modeled as the equation [REDACTED]. Using this equation, the radius of the effect based on the estimate of the amount of water on Earth has been estimated at roughly █.██x10^██ meters. Only liquids are affected by SCP-1XXX.